Will be using this in my Thanksgiving display. 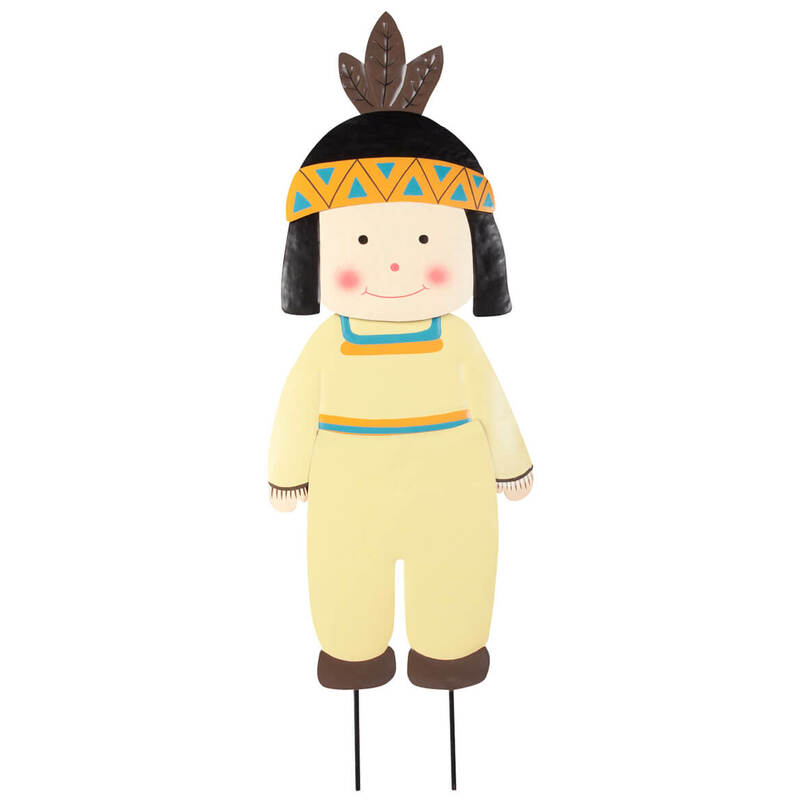 I was looking for Native Americans to go with my Wooden pilgrims and wooden pumpkin. I would like to find the Native Americans in wood too, but this is close is I can get. 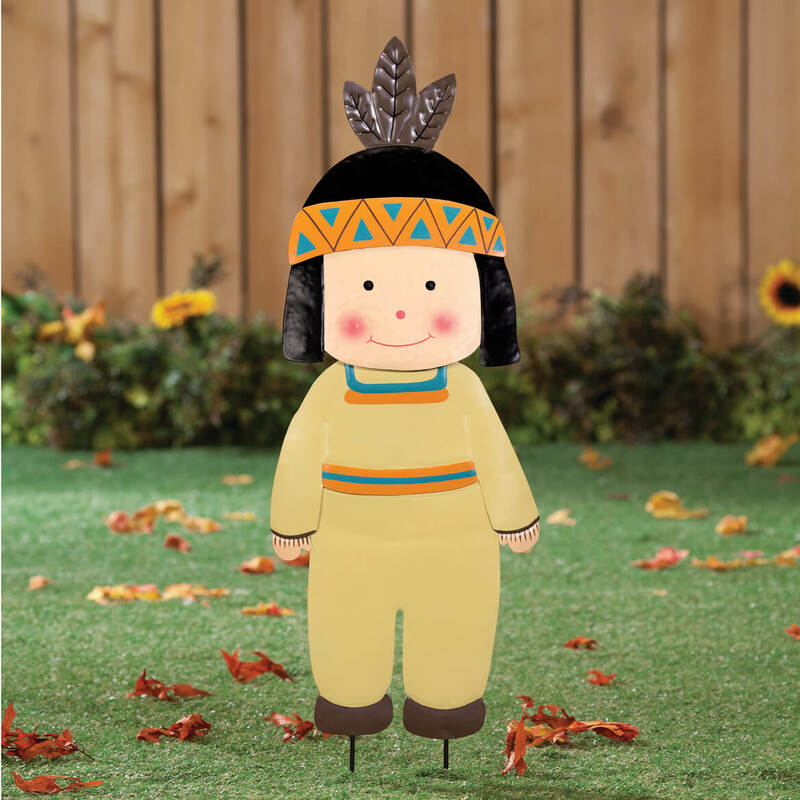 I chose the native American Lawn Stakes to compliment the Pilgrim lawn stakes. I have one for each of my 10 grandchildren and now this is the 4th for the great grandchildren. The size of item was an excellent value.